With MEROBEL's DGT 300+ , Tension Control (tape, rope or wire) is even easier to handle. DGT 300+, the most advanced of its kind Digital Controllers, offers both an extremely simple user interface and a range of extremely comprehensive functions, coming together in a very low profile case. DGT 300+ is the most attractive turn-key solution on the market for closed-loop and / or open loop applications for winding, unwinding, and intermediate tension control for the band, the cable and wire. 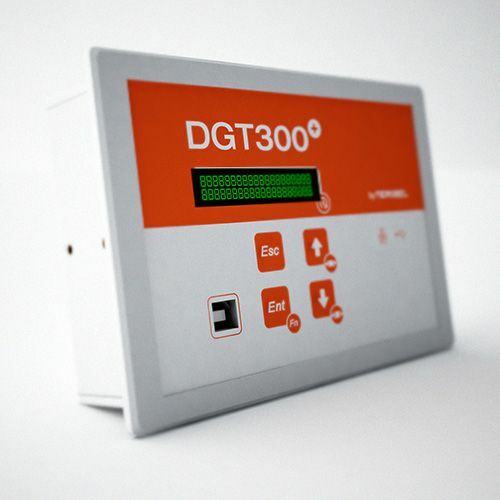 Fully configurable (through a dedicated PC software or from its front panel keypad), DGT 300+ offers all the specialized functions which are required by tension control applications such as: emergency stop, smooth startup, adjustable taper function, no-stop web turrets management, etc ... the tension setpoint can also be controlled from the outside, with the advanced TCP / IP functions. DGT 300 + accepts all types of diret inputs from force, laser, ultrasonic sensors, or potentiometers. The intuitive PC software greatly simplifies the calibration procedure (no switch, adjust strap or resistance).